Extremely thick, extra Heavy Body. Heavy bodied, very dense, with high surface drag for a stiff “oil-like“ feel. Dries to a translucent matte finish depending on thickness of the application. Very little shrinkage during drying time. 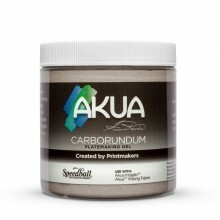 Excellent adhesion for collage and mixed media. 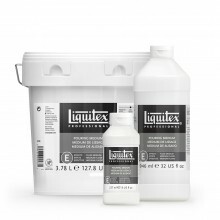 Keeps paint working longer than other gel mediums. When creating a sculptural ground, be sure to use adequate pressure to force the gel into the raw canvas to ensure proper bonding. Apply paint over the gel after the gel is dry. Excellent adhesion for collage and decoupage. Be careful not to include too many foreign materials as to jeopardize the strength of the acrylic paint film. Be sure they are compatible with acrylic emulsion.